"I never knew Groton had a downtown." This is how David Collins started his column in yesterday's edition of The Day, prompted by the new signage that is now up on Interstate 95, discussed briefly in this article. 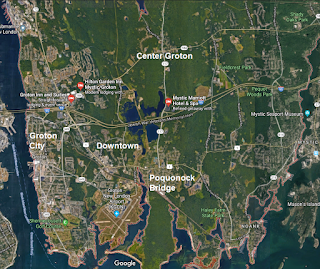 For those who are not familiar with Groton, Connecticut, it is a town with unusual geography. In the 19th century, it was split between Groton Bank, which was the portion of Groton on the bank of the Thames River, which was densely populated and supported by the shipping industry, and the town of Groton, which was the rest of the town's 45 square miles, was sparse farmland with occasional villages. 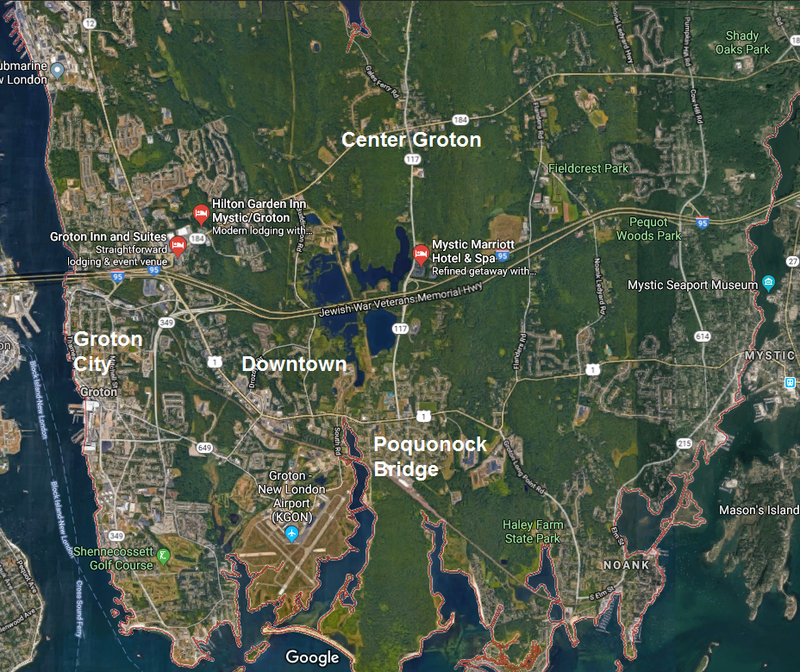 Annotated map of Groton from Google Maps. Apologizes for the business pins. No way to remove the ads. 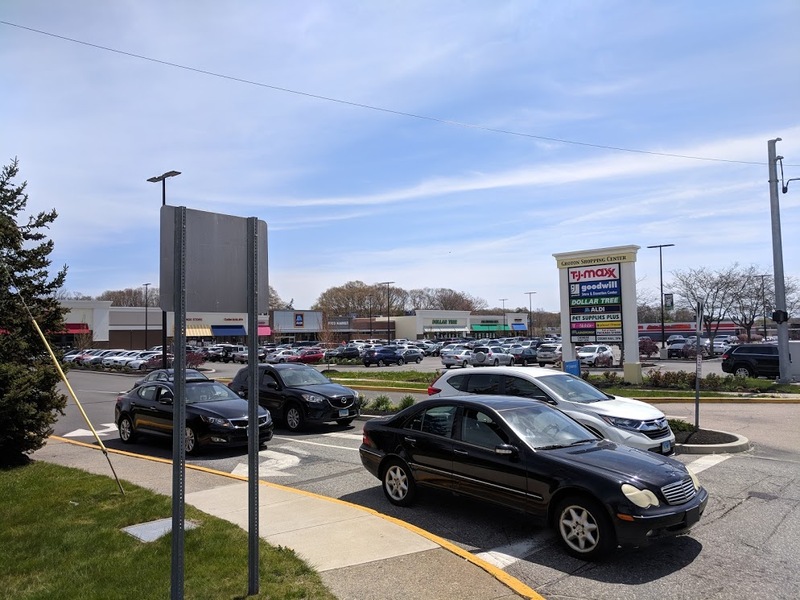 As it developed, an area around Long Hill Road near exit 87 off I-95, just outside of Groton City, which Groton Bank would ultimately come to be called, became a center of shopping and commerce. The proximity to the highway, I presume, made it an attractive location for mid-century developers, providing the five strip malls which dominate the area now known as Downtown. A short way further down that road, one finds Town Hall, the major town field Poquonnock Plains Park, the Public Library, Groton Recreation Building, and the Groton Senior Center, which forms something of a municipal district. from one end to the other. Town Hall is at the far right. Long Hill Road is at the far left. As my regular readers may have notices, I love dictionary definitions. of, in, or characteristic of the central area or main business and commercial area of a town or city. in or into a downtown area. the downtown area of a town or city. "the heart of Pittsburgh's downtown"
While we often think of Downtown as referring to an urban center, "Downtown" is really just the core of business and commercial activity in the area, which is what Groton's "Downtown" is, thus why it is called Downtown Groton. While towns like New London, Norwich, and Westerly have more traditional 19th century style downtowns, Groton, like Waterford, has a post-war style downtown area, built along the 1950s and 1960s concepts of separating various forms of zoning to different parts of town: commercial here, residential there, industrial in the other place. 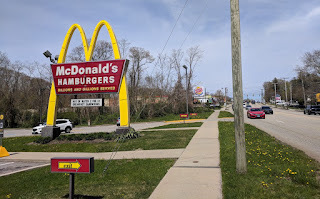 places along the short stretch of road to get a hamburger. Some of the burgers are better than others. As it turns out, that form of zoning creates a dependency on cars, prevents neighbors from interacting, and generally causes a colder, less connected community, but that's a story for another day. The point is that Groton has what it has, and what it has is a vibrant, thriving, suburban-style downtown area. Downtown Groton contains 5 main shopping plazas plus a number of other freestanding businesses and smaller plazas. Within and near Downtown, a shopper can find nearly anything they seek, including groceries, clothes, Post Office, auto dealerships, a hardware store, hobbies and entertainment, pet supplies, and more. Is it a beautiful area with quaint New England charm? No. Is it a downtown hub of commercial activity, absolutely. going on almost every day. While it largely lacks mixed use development (two small mixed used developments are in the downtown area), and its suburban nature would stretch the definition of the term "walkable," I often walk the area. 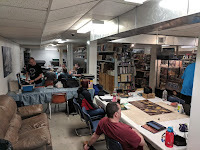 I frequently walk from my apartment to the Citadel Game Cellar, one of the best game stores I have found in the country, with events happening almost every day. While Downtown Groton leaves quite a bit to be desired, it's not an embarrassment either, bringing millions of dollars of economic activity to the town and tremendous revenues onto the tax rolls. It turns out, I discovered after a search of the town website, the term downtown used for that section of Route 1 was sealed in a 2006 planning study for the town, which envisioned all kinds of mixed-use development around the old shopping centers — development that, of course, never happened. The Groton Strategic Development Plan envisioned that construction of more housing and an effort to make the area more "walkable" would transform the area that the study authors conceded, because of its age and design, "can no longer compete as a traditional suburban-style shopping destination." So, as the authors note, it is a tired, old shopping district. And all the development they envisioned that would make it into a downtown has never happened. Still, that's the downtown interstate travelers will be directed to, about the worst of what Groton has to offer. Let's talk about what we can find in the "worst of what Groton has to offer." In this stretch you can find American, Mexican, Indian, Thai, Japanese, and Chinese food. The newly refurbished Groton Shopping Center is 100% occupied, including a well balanced mix of businesses. and get a new set of spark plugs. Even the most run down of Downtown Groton's plazas, Groton Shoppers Mart, contains many of the key businesses that, while not revolutionary, are the backbone of a commercial district: Big Y, Starbucks, and Gamestop. Even though the properly is somewhat in limbo because of owners who cannot agree on what should be done with it, it still maintains a relatively high occupancy because of the demand for businesses to serve the growing economy of Groton. it just kind of exists. For those who are not familiar with redevelopment initiatives, they tend to move slowly. 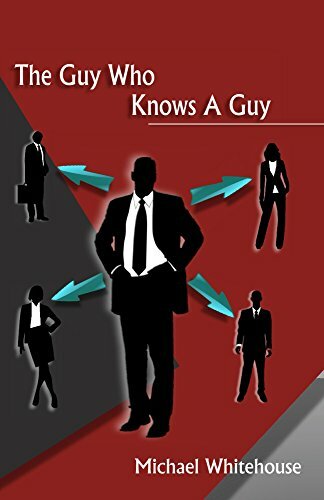 This is partly because they are complex and involve many players, and partly because there are many ways that they can go fantastically wrong. There are basically two ways to cause redevelopment occur on privately held, developed land. 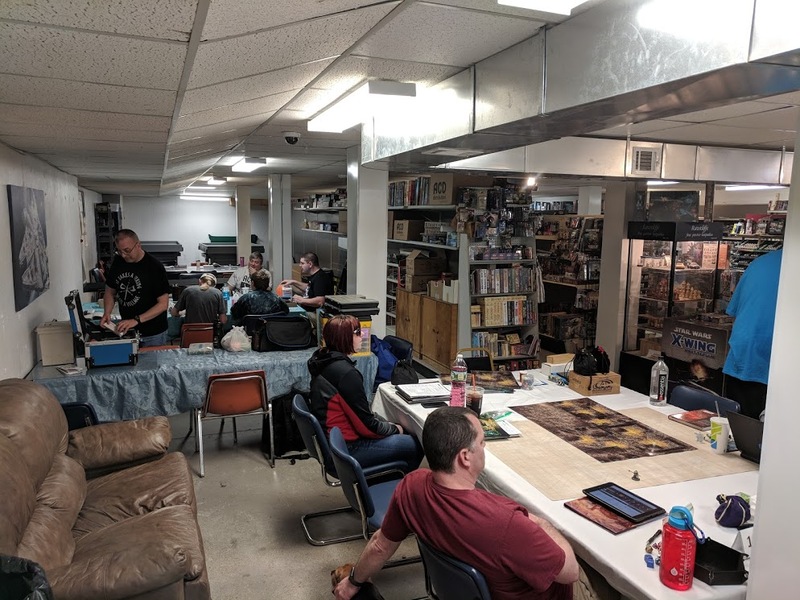 The town can create incentives and try to get buy-in from the land owners, or they can try to use eminent domain to claim the property and force the changes. The eminent domain solution has certain problems. 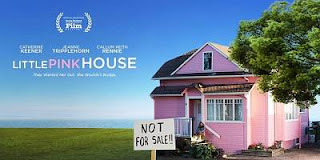 Certain problems with eminent domain. That means that the developers have to want to make the change. It takes years to research and develop a plan, then there is the process of getting buy-in from the land owners. Then it takes years more to make the plans to implement it, financing must be raised, and finally action is taken. Did anything happen within the years shortly after 2006 that might have deterred that process? I didn't move to Groton until 2014, so I don't know the full details of what happened around that time, but, given that the Economic Development Commission and the Office of Planning and Development are working to execute today that very same concept of mixed use development and modernization in Downtown, I would surmise that what we are seeing is simply a situation in which a good idea is moving at the speed of government, interrupted by a terribly inconvenient financial crisis that rivaled the Great Depression. Downtown Groton is the second area of the town that will become a Tax Increment Financing (TIF) district in order to help finance these developments. TIF is a brilliant policy in which future tax revenues can be used as guarantees against loans for infrastructure necessary for development. 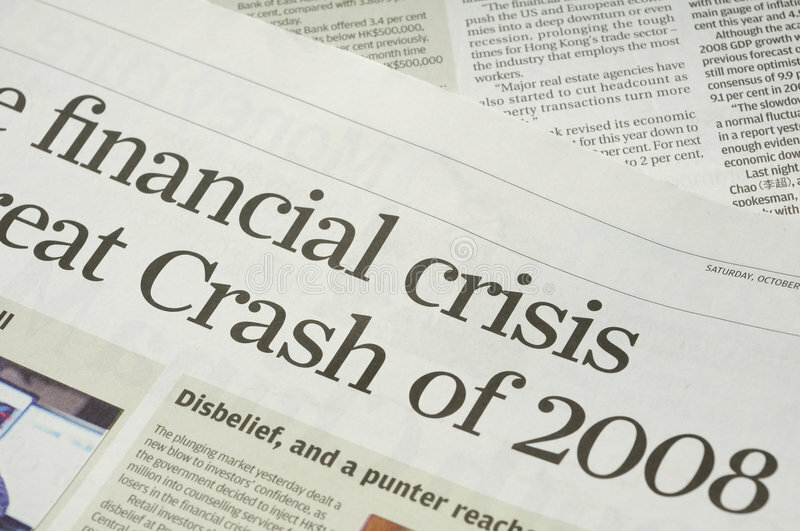 The financing is procured by the developers, not the town, and the developer is responsible for it, but they are able to use a portion of the increased tax revenues to pay off the loans. The town only pays if the development happens and the tax revenues increase. The developer gets the loan paid for them as long as they hold up their part. Everyone wins, most of all the people of Groton win. It must be very difficult to write a weekly column, which would explain why Mr. Collins failed to do even the most basic research into the current situation. Research which could have included asking his colleague who wrote an article on the EDC tour which ran in the same issue as his column. I wouldn't know what it's like to write a weekly column like that. I only have experience writing a daily one.